They once sailed the ocean for spice. Now we do for Light. We at Eco Industrial Supplies source all over the world for quality made lighting to give you the best possible products. We understand the engineering required to withstand the harshest of environments to perform day in, night out. Our products have many options from DC Voltages, AC Voltages, Colours, Combination of Colours, White Kelvin Temperatures so if you do not see the options available for your requirements please contact us & we can order to your needs. 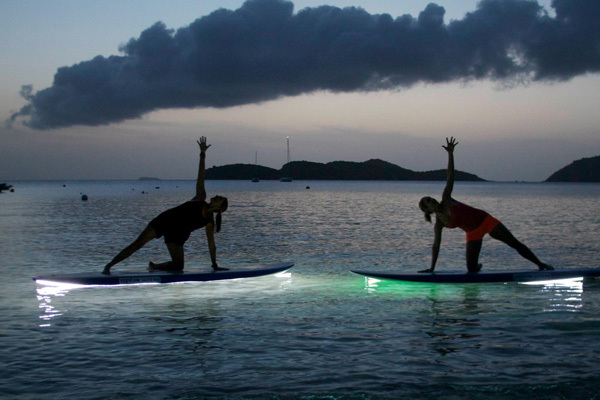 Underwater Lights, Fishing at night, Aquaculture, Boating, Ships, Yachting, Fountains, Pools there is a LED luminary specific for your application. 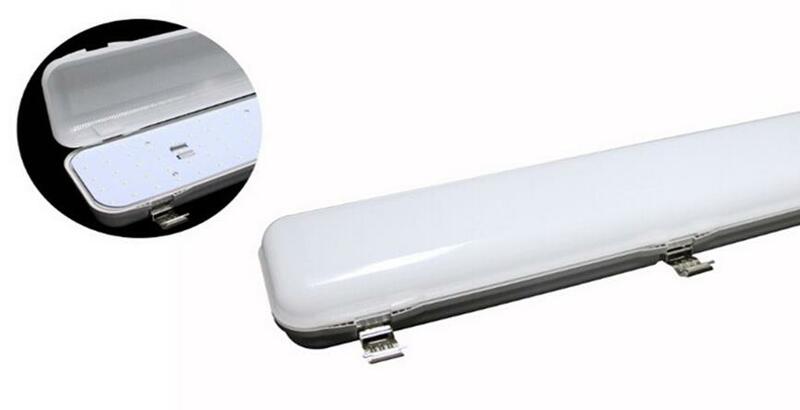 Strip Lighting is available in underwater IP68 grade and can be cut to length. Ideal for low illumination projects, accent and high lighting. Click on the photo below to go to the Strip Lighting Low Voltage page. Having an IP68 Rating means the luminary is designed for water submersible applications. All our luminaries are made to the highest of quality, best available materials and components to ensure long life. The finish quality is of the highest standard. We at Eco Industrial Supplies have a passion for science. The fact that life only exists because of light drives us to understand what parts of the light spectrum is used by single cells and organisms. All life started as algae of which there are thousands of known species. The micro world is a fascinating place and is a direct reflection of the much larger world as we know it. 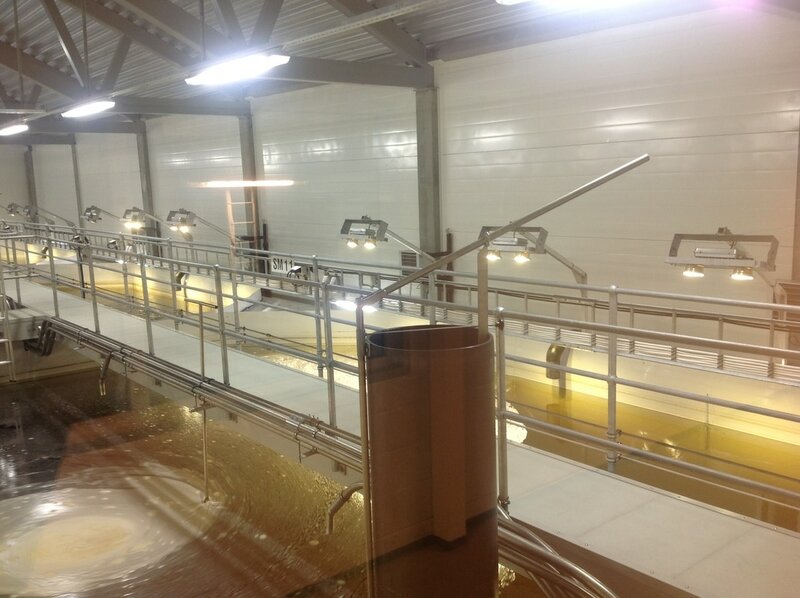 We are constantly learning and developing new technology to make production of algae more efficient to you the farmer. We thank our customers all around the world who have contributed in the development and sourcing of more energy efficient means for artificial lighting when growing algae. Learn more about the best light spectrum for growing algae in the link below. Aquaculture Growing Lights LED IP65 come in a range of luminary fitting designs suitable for Aquaculture lighting from LED Tubes, Linear Tri-Proof Battens to T-Rex Flood, spot and high bay lights. We use high grade Bin quality LED chips that have a finer tolerance when colour or colour temperature is an important factor in your production. High grade Bin LED chips will also give you longer life and less decay than the standard grade LED chip. 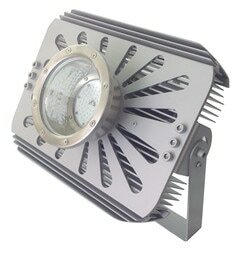 go to our aquaculture growing lights IP65 page here. The FHW Series Aquaculture, Ship, Boat and Deck lights are a compact high watt output design made to withstand the demanding environment of the ocean and corrosive salty air. With a high tolerance to vibration and shock the FHW is a top of the range fitting that will handle the constant vibration from cavitation ships and boats produce. Available in all colour temperatures and various beam angles the FHW series offers versatility for multiple applications including the Aquaculture Industry as pictured here growing algae as a food source . Full Spectrum 10 band including UV and IR medicated light suitable for marine fish, corals and invertebrates. Fully controllable with factory preset programs to simulate the rise and fall of the sun as it would naturally. 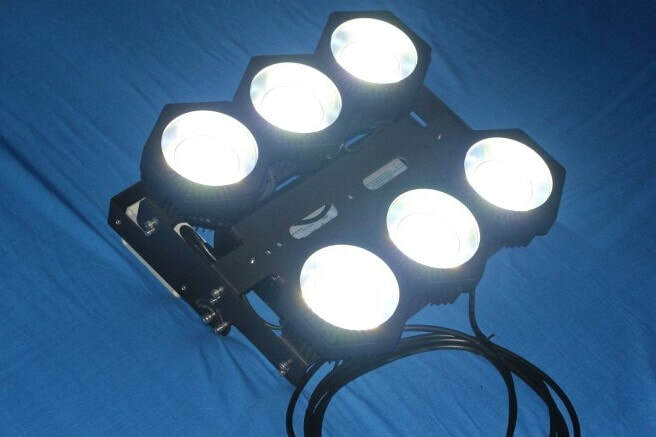 Aquarium Lights LED Controllable G3 Series allows you to manipulate life cycles by adjusting lighting spectrum, brightness and seasonal conditions. Increase production and improve farming health with a scientifically designed state of art luminary. Adjusting spectrum and brightness is made easy with our G3 24 hour controller. Program specific settings every hour to suit your own requirements. 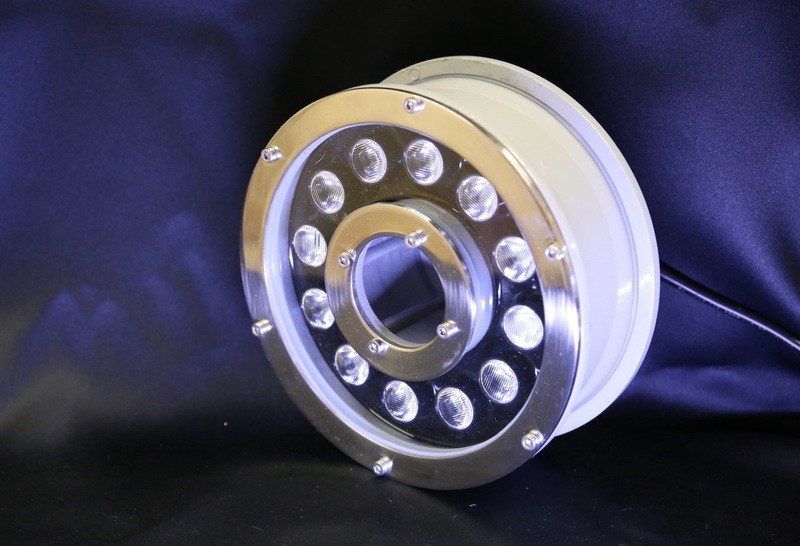 Automotive Spot, Flood and Work Lights LED can be manufactured in powder coated white and used as smaller deck lights, Garfish fishing lights and forward facing flood lights. Having a wide voltage range they are easy to hook up and offers a cheaper luminary that will perform well for many years service. go to our Automotive Spot, Flood and Work Lights LED page here. 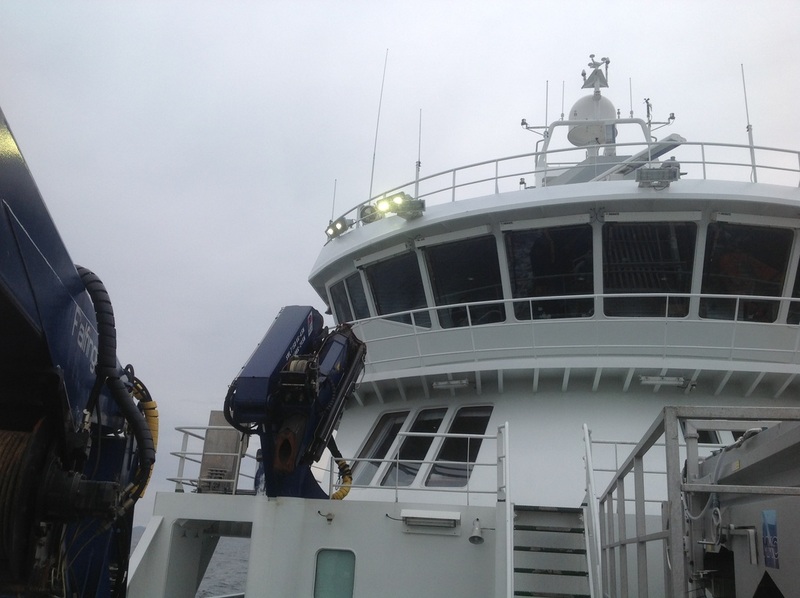 Our Boat Lights are made to a high standard to withstand the harsh environment of salt, vibration and water. Available in a range of metals including 316 stainless steel, aluminium and copper bronze. Manufactured to order be rest assured our quality boat lights will be a long term solution to your failing lights. Select from a wide range of boat lights above and below the deck by visiting our main page here below. 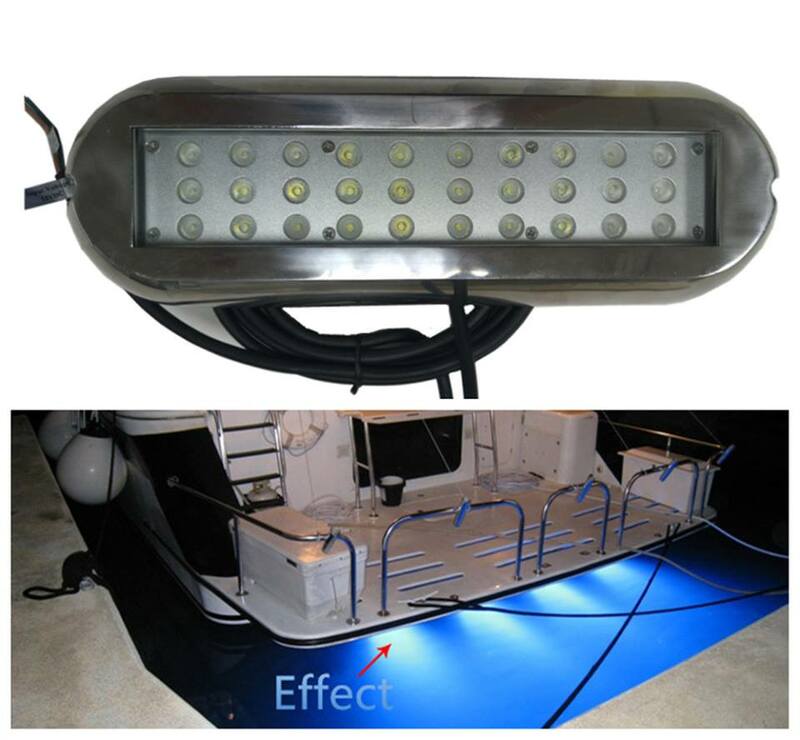 Boating & Yachting LED Lighting Titanium Alloy are plated with a corrosive resistant titanium alloy that offers protection from salty water and air. Made to a high quality with selected bin grade chips this series is a premium range that will offer trouble free service for many years. When purchasing Boating & Yachting LED Lighting look for ATC compliance. This will ensure there will be no electromagnet interference with sensitive electronic signals such as your GPS, navigation and communication instruments. Beware of copies in the market place that are not certified as they can cause damage to expensive on board electronics. Choose our Down Lights IP65 Series for food processing, commercial applications or where moisture and humidity is present. Display your produce with gloss, lustre and freshness improving sales and customer attraction appeal. Select from 5,10,15,25 and 30 watt Down Lights. 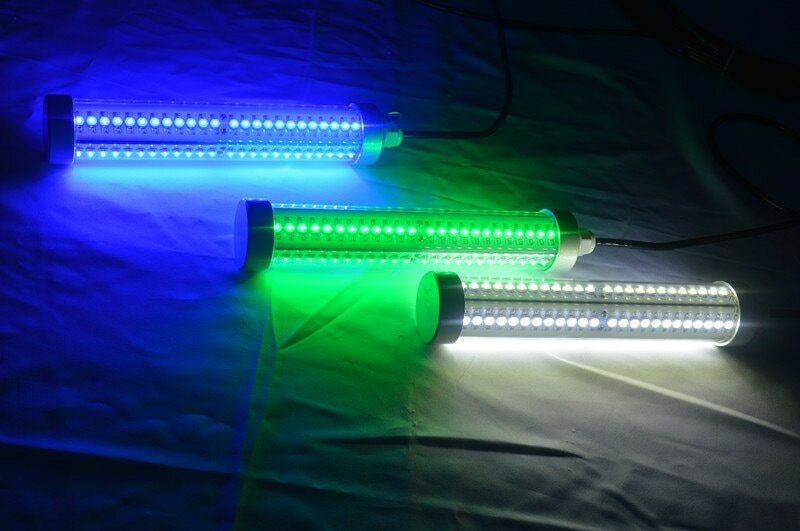 Fish Attracting LED Lights are used in commercial indoor and outdoor farms for improving growth rates, reduce stress as well as increase fish health and reduce mortality rates. Fish Attracting Flood Lights are used by wild fisheries to reduce fuel costs by attracting targeted fish species with light. Select from a wide range of both 12 volt DC and commercial grade high watt output AC voltage used in the Aquaculture industry. A range of colour specific and mixed colour LED chips can be made to your requirements. Eco Industrial Supplies works closely with leading aquaculture scientists and universities all around the world to manufacture specialist super efficient, spectrum specific artificial lighting that replicates the required spectrum needed to grow healthy fish fast. Various dimming control systems allow our scientists to experiment with optimum recipes of light suitable for their fish species. Talk to us about your operations and we can recommend what will be best suited for your aquaculture farm. Ideal for security, production and operational monitoring. Intelligent Smart Lighting with HD Camera SNF Series are available in both solar and grid AC powered. Monitor aquaculture operations night and day in HD 960P via live view or recorded data. The smart control system can send an alarm when the movement sensor is activated. Control and download up to 15 days of full 24 hour recordings via phone or tablet using Wi-Fi and via 3G and 4G from remote desktop or control room. Dedicated server systems available for large operations. Modules LED for Designers are a small module that is easily mountable and easy to wire up to your 12 volt DC system, Made with super flux LED`s each module packs a punch of light and are great for small cabins, gunnels, rails, instrument illumination etc. 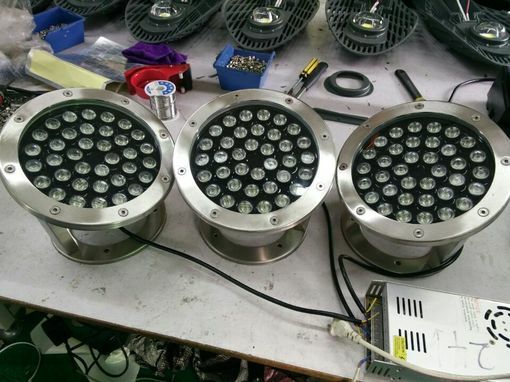 Available in Whites, Red, Blue, Green and Amber 1 to 5 piece LED`s per module. for increasing production and culture concentrates. Plant Growing Lights LED Full Spectrum G3 and G4 Series are similar to our Aquarium lights listed above however the spectrum is slightly different and more suited for plant growth. 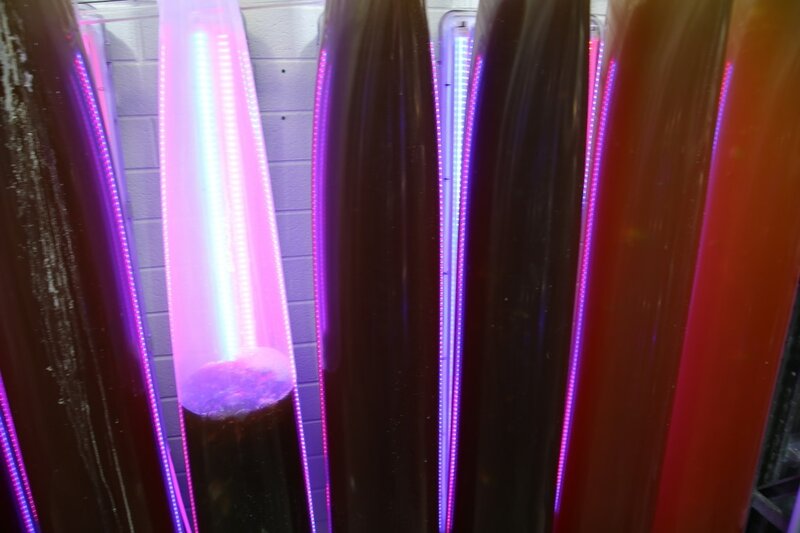 With the Red and Blue spectrum controllable they are also suitable for growing algae within the Aquaculture Industry. Being fully programmable scientists can adjust the brightness level to increase every hour as the culture grows thus avoiding killing young cultures by having too much light. Solar Panels Flexible are available in a range of sizes and suitable for marine applications. Made from a tough strong polymer yet flexible enough to conform to any curved surface. Being light weight they can even be applied to fabric canopy's. Swimming Pool Lights LED are available in multiple sizes, construction, watts, colours including individual red, blue, green and RGB colour controllable. When we manufacture your swimming pool lights LED we use the best available components and high grade bin quality LED`s to ensure long life with minimal light decay. Choose from our large selection of Underwater IP68 Rated LED Lights suitable for your application. Industrial quality Pond Lights, Fountain lights, Tank Lights and more designed to last.